Another way for a consultant to have impact and influence is to be a paid speaker. Many consultants are paid from $5,000 to $10,000 to deliver workshops and keynote speeches. How do successful consultants navigate the speaking circuit? In this interactive forum several consultants who are paid to speak will discuss with the audience the why, when, where, and how much of using paid speaking as a revenue stream. In addition, the forum will discuss public relations strategies to position a consultant as a thought leader and speak for such groups as Vistage, EO, and TEdx. This deep dive forum will be moderated by Henry DeVries, the chair for Consult-Con 2018. Henry runs a company called Indie Books International, a publishing firm with more than 100 titles by consultants who are thought leaders. He is a professional speaker and the author of nine books including his international McGraw-Hill bestseller How to Close a Deal Like Warren Buffett, Marketing with a Book, Persuade With a Story!, and Build Your Consulting Practice. If you think the sum total of your formal education, work experience and confidence in your knowledge are sufficient to be an effective consultant, think again. Clients hire employees for their experience and their ability to fulfill a specific role and execute a set of responsibilities. Conversely, clients hire consultants for their experience, expertise, and ability to bring broader views, deeper insights and trending ideas to particular issues. Our work in the IMC USA Academy has shown us that consultants frequently underestimate the depth and breadth of wisdom they need to bring to their clients. How do you develop this kind of wisdom? We’ll show you how to become curious and create unexpected opportunities and add greater value to your work. Consider that one definition of a consultant is: a professional who has an extraordinary ability and desire to learn. Much like a classical education, this kind of expansive learning sometimes includes ideas that may not appear immediately useful. This journey of learning is not a random walk in the woods – there’s a pedagogy that defines the skills, aptitudes and behaviors called the Competency Framework. This framework supports the globally-recognized accreditation mark, Certified Management Consultant® (CMC®) and serves as the definitive resource to identify needs and design a professional development plan. Creating or refining a professional development plan marks you as a serious consultant and shows your clients that you have a strong commitment to their success. In this session we’ll review the key elements of a professional development plan and principles of personal growth and engage participants in exercises to define their learning objectives and design a professional development plan. Loraine Huchler is the founder and president of a consulting organization, MarTech Systems, Inc., a firm that assesses and manages risk in water-related utility systems. During the last 20 years, Ms Huchler’s consistent investment in professional development activities has contributed to the success of her consulting business. She has authored numerous peer-reviewed papers, published “Operating Practices for Industrial Water Management, Influent Water Systems,” Gulf Publishing, Inc., ©2007, presented papers and spoken at conferences, and wrote a column for over 15 years in a leading industry trade journal. She is acknowledged as a thought-leader in her area of risk management in utility water systems. As a Certified Management Consultant® since 2005, she has demonstrated mastery of the consulting skills defined by the Competency Framework. She currently serves as the Chair of the IMC USA Academy, vetting content and presenters and designing curriculum for adult learners in virtual classrooms. She recently updated and presented “The State of the Management Consulting Profession in the U. S.” in January, 2018. Loraine is licensed as a Professional Engineer and has qualified as a Certified Management Consultant. In 2016, IMC USA recognized her as a Fellow of the Institute of Management Consultants for her contributions to the profession of management consulting, her service to the Institute and her involvement in her community. She previously served as Chair and CEO of IMC USA. One more thing. In her spare time, Loraine renovates old buildings. She has renovated two commercial buildings, including brick showroom/garage built in 1921/1931 to sell and repair Model T automobiles that has a unique architectural design with inverted trusses. Her current project is her first “greenfield” building with several apartments and an office for her property management business. She says that her experiences renovating buildings and managing properties has provided rich opportunities to learn things that often have unexpected value in her consulting business. 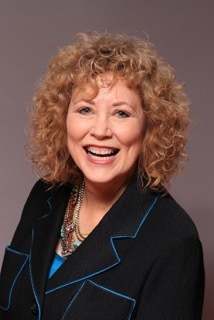 Roberta Guise is a trusted marketing and PR adviser to small business owners, experts and nonprofit leaders on how to market and brand effectively, communicate their core messages and be extraordinarily visible, and advance their standing to thought leader in their field. Along with her opinions in such publications as The Wall Street Journal, San Francisco Chronicle, Sacramento Bee, Business Week and Fortune Magazine, Roberta specializes in advising women who are driven to shape public opinion and policy across society. Roberta has presented and convened panels for IMC USA national and Confab conferences, National Speakers Association regional salons and workshops, and other professional MarTech Systems, Inc. associations and organizations. She is Acting President of IMC USA’s NorCal chapter, and is a member of the IMC USA Academy Committee. She’s also President and Founder of FemResources, a nonprofit for advancing women’s careers in technology and engineering, and is an accredited delegate and speaker who represents San Francisco at the UN Commission on the Status of Women forums at the United Nations. Notably, she convened a panel on women in tech for the Women in the Workforce conference, presents “lightning” talks and talks on women in technology and the gender gap in tech, and is scheduled to speak at the 2018 Bay Area Women’s Summit, hosted by the mayors of San Francisco, Oakland and San Jose. One more thing: Roberta swims in the frigid waters of San Francisco Bay. It’s mostly mind over matter, she tells us. She says that building one’s marketing and visibility muscle is in many ways like facing the cold water of the bay: it hurts at first, and gets easier with each exposure. In this 90-minute, hands-on workshop, you will learn the Idea-to-Done sprinting technique and put it to use on a real project. Idea-to-Done is for consultants who help their clients achieve first-of-a-kind results more quickly and less expensively than traditional business planning and project management allow. Working on IMC USA’s Reason for Being strategic initiatives will give you the practice you need to feel confident. Mike Wittenstein. Mike has over 30,000 hours of experience helping leaders tackle tough, high-stakes problems as a consultant, experience designer, coach and speaker. His clients claim over $1.6 billion in added sales, reduced expenses, and new sources of revenue. The focus of Mike’s practice at StoryMiners is helping organization and their leaders clarify their future intent. He blends story, strategy, experience design, and tech in a unique fashion to make it easier for people to see their futures and become an integral part in making it real. In addition to achieving the CMC designation, Mike has received top certifications as a speaker (CSP, DTM) and experience designer (CCXP). He works in English, Portuguese, Spanish, and Russian and has experience in over 100 cities in 26 countries. Jim Park. After 18 years managing and leading in a range of environments, Jim established his consulting practice in 1988. Relying on his intimate knowledge of industry, government and non-profit challenges he has helps clients across the country increase their organizations performance by maximizing leadership impact, doing the right working better and facilitation effective organizational and cultural change. 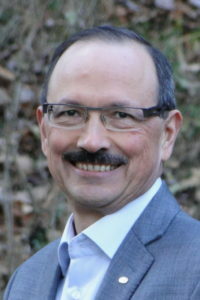 Jim is a Master Trainer, Certified Management Coach, and expert Facilitator who crafts unique, innovative, and high impact solutions to exceed his clients expectations. Dr. Tony Alessandra helps consultants turn prospects into promoters. He is two speakers in one… a professor and a performer, or as one client put it – he delivers college-level lectures in a comedy store format. Dr. Tony offers audiences the opportunity to enjoy themselves while learning practical, immediately applicable skills that positively affect their relationships with prospects, customers and co-workers. His focus is on how to create instant rapport with prospects, employees & vendors; how to convert prospects and customers into business apostles who will “preach the gospel” about your company and products; and how to out-market, out-sell and out-service the competition. 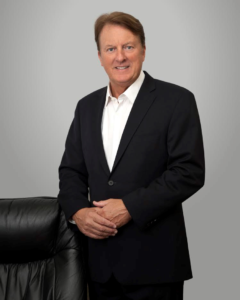 He is CEO of Assessments 24x7 LLC, a company that offers a variety of online assessments, including the widely used DISC profile, the Hartman HVP, Motivators (Values/PIAV) assessment, and several 360º effectiveness assessments. Dr. Alessandra was inducted into the National Speakers Association Speakers Hall of Fame in 1985. In 2009, he was inducted as one of the “Legends of the Speaking Profession;” in 2010-2014, he was selected 5 times as one of the Speakers.com Top 5 Sales/ Marketing/ Customer Service Speakers by Speaking.com; in 2010, Tony was elected into the inaugural class of the Top Sales World Sales Hall of Fame; in 2012, he was voted one of the Top 50 Sales & Marketing Influencers; and also in 2012, Dr. Tony was voted the #1 World’s Top Communication Guru. Attendees will be inspired, motivated and driven to achieve maximum performance in all business and life endeavors. 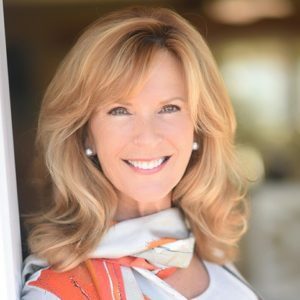 Patty Vogan is an author and the founder of Victory Coaching International, a leadership and communications training company based in San Clemente, CA serving clients all over the globe. A Southern California native, Patty fulfilled a childhood dream when she moved to the South Pacific and the Kingdom of Tonga to open a scuba diving shop and sport fishing/whale watching tour business. She successfully operated the business for seven years before selling. After returning to California, she served as Vice President of Business Development for the Ocean Institute, where she helped to raise more than $16 million in capital to build an educational facility for children to learn about science and become stewards of the ocean. Over the past 12 years she facilitates peer advisory boards for Vistage International in Orange County. What does an FBI Special Agent know that you don’t know when it comes to protecting you and your business from terrorism, cyber security threats, and active shooters? We live and work in a disruptive world. Protecting yourself requires a plan, and the man with the plan (and “a very particular set of skills”) is John Iannarelli. John is an international consultant who retired from the FBI after more than 20 years of service, during which time he was a member of the FBI SWAT Team and participated in the investigations of the Oklahoma City Bombing, the 9/11 attack, and Congresswoman Gabrielle Giffords’ shooting. A frequent contributor for Fox News Channel and other media outlets, John is now a highly sought-after consultant and keynote speaker, known for sharing his intriguing insights combined with his sense of humor. He works with numerous Fortune 500 companies, the United Nations and the Vatican, where he has personally met on several occasions with Pope Francis. 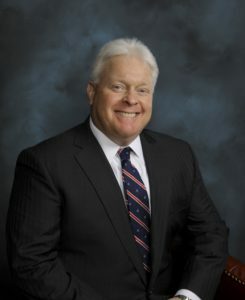 Among his many FBI assignments, John previously served in Washington, D.C. as the FBI National Spokesperson and later on the Executive Staff of the FBI’s Cyber Division. During his FBI tenure, John was the recipient of the FBI Director’s Distinguished Service Award, for which he was selected from the ranks of the Bureau’s 35,000 employees. 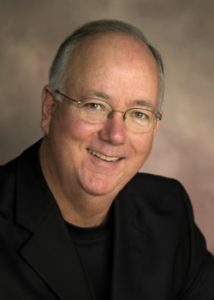 A former San Diego Police Officer, John is also an attorney and is the recipient of an Honorary Doctorate of Computer Science in recognition of his contributions to the field of cyber investigations. John is the author of four books, including Why Teens Fail and What to Fix, a parents’ guide to protecting their children from Internet predators and other dangers, Information Governance Security about how businesses can protect their important information from loss or compromise and How to Spot A Terrorist Before It’s Too Late, a guide to help people recognize and prevent terrorism before it can occur. His soon to be released fifth book, Disorderly Conduct, examines the lighter side of law enforcement and the humorous moments during John’s FBI career. Leader: Parag Ambardekar, CMC, principal of Dash Group Inc. In today’s world that emphasizes collaboration, participation and stakeholder engagement, consultants often need facilitation skills. Whether running a meeting or engaging in dialog with stakeholders, consultants need to understand when a facilitated approach is appropriate, and then they need the skills to do more than just moderate a meeting. In this short interactive session, you will explore what facilitation is, how it differs from consulting, when to use it, and what the benefits are of including facilitation in your toolkit. Join this fast-paced conversation to both learn from your peers and share your expertise. 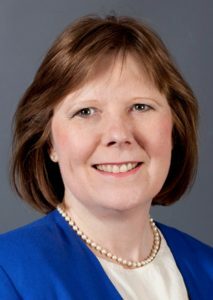 Speaker: Becky Roberts, Certified Professional Facilitator and CMC, is President of Catoctin Consulting and the Certification Chair for the IMC National Capital Region chapter. Becky helps organizations and leadership teams listen to their stakeholders, develop strategies and action plans, and implement the change to achieve results. She has designed and facilitated numerous strategic planning sessions, executive and staff retreats, cross-organizational summits, focus groups, partnering sessions, stakeholder input sessions, and expert panels. She has worked with boards of directors, interagency committees, and leaders of federal, state and local government agencies, nonprofits and associations, academia and private sector organizations. She earned the Gold Facilitation Impact Award from the International Association of Facilitators for work that made a measurable difference for NASA. Prior to founding Catoctin, Becky served as Director of Business Process Reengineering with DynCorp. She has also held management positions with Oracle and PRC. She received a BA degree in Architecture from Yale University and an MBA from the George Washington University. This express talk will take participants through a step-by-step process for developing, testing and using their own, branded, practice-specific assessment that leads clients to discover for themselves, latent needs and opportunities for improvement. 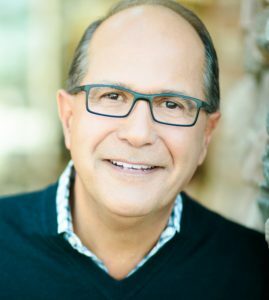 Jerry Vieira is a President & Founder of The QMP Group, Inc. and creator of both its namesake Foundational Marketing Methodology™ and the QMP Marketing and Sales Engine™. He is a specialist in market strategy and leading marketing and sales organizational transformations. He has held management and executive positions in engineering, manufacturing, marketing and sales in both Fortune 500, emerging pre-and-post IPO tech firms. He is a past president of the Oregon SW Washington Chapter of IMC and remains in a supporting board position and is a CMC. This session explores the results of a survey of CEOs and anecdote-based interviews currently being conducted by presenter Ken Lizotte CMC, Executive Director of the CEO Club of Boston from whose members this session’s content will be partially derived. His findings will be augmented with data from similar surveys conducted by other sources. Panelist Ken Lizotte: Executive Director of the CEO Club of Boston, Ken Lizotte CMC is also Chief Imaginative Officer and Founder of emerson consulting group inc., a Concord, Massachusetts firm which transforms consultants and other business experts into published “thought leaders” by helping them write and publish their consulting ideas as books and/or articles. 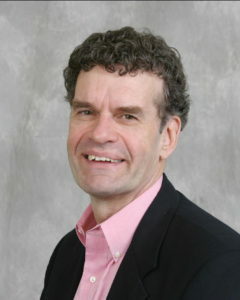 Author of seven books himself and a columnist for Huffington Post, his most recent books include The Speaker’s Edge: the Ultimate Go-To Guide for Locating and Landing Lots of Speaking Gigs (2016, Maven House Press) and The Expert’s Edge: Become the Go-To Authority that People Turn to Every Time (2008, McGraw-Hill). A regular speaker at business events including multiple past IMC USA national conferences and the Reno Confab, Ken has been interviewed by The Wall Street Journal, NPR, Fortune Magazine, Business Week, Writer’s Digest and Investors Business Daily. He is co-founder of the National Writers Union, a graduate of Alan Weiss’s Million Dollar Consulting College, and current pro bono president of Thoreau Farm, the birthplace of Henry David Thoreau. Big data is radically transforming the nature of consulting ethics. Until recently, consultants were personally responsible for selection of information, analysis, conclusions and recommendations. Increased use of big data, analytics and machine learning dissipates both control over these consulting functions and accountability. Who will ultimately be responsible for decisions made using these technologies if not the consultant? Consultants increasingly use pre-processed information, analytic engines and decision support tools in their work. Data sources are less clear, the source and transparency of decision algorithms is low and the control over ultimate recommendations is declining. The term “fake news” is a symptom of the growing concern over trust in information sources used to make decisions. How can we be “trusted advisors” if the foundations of our work can’t be trusted? This calls for a change in how we as management consultants perceive ethics, what it means to be accountable for our recommendations and rethinking how we make ethical decisions. What responsibility does a consultant have to prevent bias in data collection? Where does a consultant’s judgment end and inferences made through analytics begin? Who owns a consultant’s work product if an algorithm is used to analyze data? How should a consultant protect confidential data when it can be stolen so easily? This session summarizes the emerging technologies that are transforming business advisory services. It poses points for discussion of how a consultant decides to leverage the power of big data, analytics and machine learning technologies in his or her work. Participants will leave with a sharper appreciation for the opportunities and dangers of their inevitable connection to data and decisions no longer solely within their control and the accountability challenges this presents. 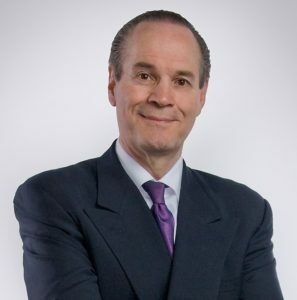 Speaker: Mark Haas CMC, FIMC, is Founder and President of Research and Organization Management, a strategy and performance management consulting firm. He helps build powerful strategies and operational effectiveness for mission-focused organization. As a result, executives and boards make decisions with confidence, impact and pride. Mark facilitates high-profile sessions such as response to nuclear terrorism, STEM education, national health security strategy and CEO retreats. He also is a trainer with clients in US, Europe, Asia and Africa. He has helped clients in technology, education, human services, sports, healthcare, energy, biomedical research and trade associations in academic, commercial and nonprofit sectors. Mark has served in nonprofit leadership roles, including as past Board Chair/CEO and current Ethics Officer of the Institute of Management Consultants, as current Board Chair of the Association for Enterprise Growth and other education and civic associations. He is a Certified Management Consultant, expert witness, speaker, and advisor to national technical and professional bodies. He holds degrees from Colgate and Harvard Universities. The purpose of this presentation is to motivate IMC USA members to think about how artificial intelligence (AI) is changing the consulting landscape. All businesses create, gather, process, store and transit information. Senior executives (e.g., CEO, CFO, CIO) are increasingly relying on technology to analyze this information to manage risks, lower costs, improve productivity and make informed business decisions. The evolution of supercomputers (e.g., IBM Watson) and AI enabled devices such as Alexa, Cortana and Siri are allowing senior executives to use AI to drive business results in ways that previously required insights from a management consultant. Intel Corporation is spending a billion dollars to educate the next generation of AI student ambassadors. Where management consultants have traditionally been valued for their business, strategy or financial acumen, in the not so distant future, management consultants with no technology expertise will find themselves struggling to create value for their customers. Management consultants that focus solely on providing services using a standardized process or methodology may find that their customers have acquired technology solutions that automate those processes at a lower cost than the cost of hiring a consultant. IMC USA members need to be aware of this trend and anticipate the impact of AI on their consulting practices. This presentation is significant because experts agree that consultants need to offer value that exceeds what technology will soon be able to do by itself. Consultants who anticipate — and adapt to — these changes will redefine their industry and relevance. These professionals will be crucial advisers, whose expertise companies would be smart to follow and even wiser to promote. The extent to which IMC USA members are able to grasp AI concepts, leverage AI to create value for their customers, and adapt to change, will determine whether or not AI will make or break their consulting practice. Speaker: Angela Dingle, President and CEO of Ex Nihilo Management, LLC, is a Certified Management Consultant (CMC®) who has managed the successful execution of over $40 million in client engagements including management, strategic planning, training, Information Technology, governance, and process improvement. 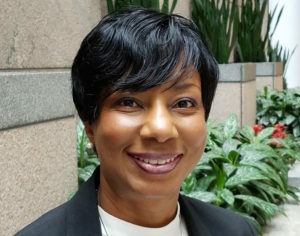 An award-winning business owner, she holds a Master of Science in Management Information Systems from Bowie State University, Bowie, MD, a Bachelor of Science in Computer Science from DeVry University, Columbus, OH, is Certified in the Governance of Information Technology (CGEIT) and has over 25 years of experience in the public and private sector. Despite its negative connotations, the term disruption has become part of our lingua franca. When business people talk about disruptive technologies, disruptive innovation and disruptive business models they are often referring to management practices that have the power to transform individuals, companies, and indeed large portions of society while generating huge value for thousands, if not millions of people. Just about every industry segment and market is being disrupted and the broader consulting industry – which includes the sub-segments of IT, strategy, operations, HR management and sales and marketing advisory services – is not immune to the forces currently shaping the world. One of the last major innovations that helped the consulting industry grow was reengineering. This began with the work of Jim Champy and Michael Hammer in the early ‘90s as enterprise-wide IT systems became more pervasive. Strategy consulting had dominated until that point, but operational efficiency and cost containment increasingly became the industry’s growth machines. Not surprisingly, the consulting industry, which had experienced double-digit growth until the 90’s, has been confronted with lower growth recently, a lot of which was fueled by mergers and acquisitions by the Big Six – Deloitte, Ernst & Young, PwC, KPMG, Accenture and IBM. Meanwhile, Indian consulting companies have been growing tremendously by offering much of the same expertise at far lower cost. This phenomenon is often referred to as outsourcing, the other major growth area of the last 25 years. There have been a series of tweaks to the basic business model of consulting but nothing as disruptive as the innovations of the past. Many smaller firms are “productizing” their usually human resources-intensive projects and looking more like software firms than consulting companies. The big are getting bigger and cheaper and the room for smaller niche and boutique consulting firms has become narrower. It is now time for consultants to disrupt themselves. Drawing on his experience leading the Association of Management Consulting Firms (AMCF) from 2008 to 2013 and material in his newest book, Owning Tomorrow: The Unstoppable Force of Disruptive Leadership, John will debunk many of the prevailing myths and mindsets that keep consultants from achieving their full potential in this ever-changing environment. John will introduce proprietary tools and techniques which attendees can successfully apply to their own consulting businesses to become more innovative and disruptive while avoiding many of the usual pitfalls when growing a consulting business quickly and profitably. Speaker: John Furth, author of the book Owning Tomorrow, has spent the past 25 years as an external and internal consultant, holding senior positions as the head of strategy groups at Hitachi Consulting, Discovery Communications, Sony Corporation, and Roland Berger Strategy Consultants. Drawing on his extensive experience and knowledge, he helps CEOs and their senior executives develop cutting-edge leadership skills, plan and implement innovative business models, products and services while increasing the performance of their organizations. John is also a professional speaker and Vistage Chair in Brooklyn, New York. The rules of selecting a consultant have changed…have you? Technology and the digital speed of communications means greater transparency to who you are and how you perform as a consultant. Additionally, the “rules” of selection have changed- virtually overnight – meaning your CEO client or potential client is far more focused on value outcomes, speed and ROI. How you articulate and what you bring to table that is differentiated, concise and measurable has never been greater! This engaging and audience interactive conversation between the leader of a nationwide C-suite organization and the CEO of multiple companies will illuminate what it takes to “seal the deal” in 2018 and beyond. Scott Hamilton is a well-known thought leader &amp; speaker in the field of “next practices” improvement of leadership and organizational performance for the Global 1000, emerging and mid-market companies. With a multi-functional experience as a large enterprise corporate executive and trusted advisor, Scott has helped leaders and organizations be more effective in how they strategize and perform. 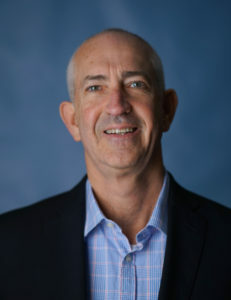 His executive and organizational coaching expertise includes the design &amp; implementation of strategic execution programs, innovation methods, executive branding techniques, leadership team performance and the pioneering use of “collective intelligence” alignment programs. He has worked with leaders at all levels to build their strengths to maximize team capability in decision making, inclusion, ideation, focus and results in both emerging and established businesses. Hamilton is CEO of the Executive Next Practices Institute, a large C-suite research and forum organization that is a community partner organization located at the University of California-UCI Applied Innovation. He is also NextWORKS Strategy (2018 Innovators of the Year nominee-Orange County Business Journal), a premier provider/advisors of strategy development, alignment, talent management, board effectiveness and executive performance programs to middle-market companies. He serves on the boards of several organizations. Feyzi Fatehi is a technology visionary, inventor, innovator and entrepreneur. As a Silicon Valley veteran, he serves as the CEO of Corent Tech – named among The Top 10 Most Disruptive Private Companies in 2018. Feyzi who was named an Entrepreneur of the Year in 2017 by the Orange County Business Journal, studied at Cambridge, Princeton, UT Austin, and UCLA, has given talks at Harvard, Wharton, Stanford, CalTech, and at industry events around the world, including a popular keynote titled “Inspiring a Culture of 10X Innovation and Entrepreneurship within the Global Corporation.” Feyzi serves as an advisor to the UCLA Anderson School of Management, UCI School of Engineering/Computer Science, and the Beall Center for Innovation and Entrepreneurship. As someone who is a NAUI certified Scuba diver, has climbed Mt. Whitney multiple times, backpacked in Alaska and High Sierras, and won a tennis tournament – Feyzi is optimistic that one day he will bring his golf handicap score down to a more respectable level. Every organization has a hidden game. It is made up of the unspoken rules, unquestioned assumptions, and invisible agreements that people and teams form with each other automatically and unconsciously. Virtually every failure, breakdown, slowdown, and painful situation has one or more invisible agreements at its core. How can management consultants get this game out of the shadows and onto the table where their clients can bring workplace behavior into alignment with the organization’s desired outcomes? The first step is to gain awareness that the hidden game even exists. The next step is a clear roadmap for navigating new agreements with skill and clarity. In this session, learn from a business leader with over twenty-five years hands-on leadership experience — now a seasoned consultant, who over the last decade plus has shown dozens of companies how to bring what is hidden into the light to transform both their results and their culture. 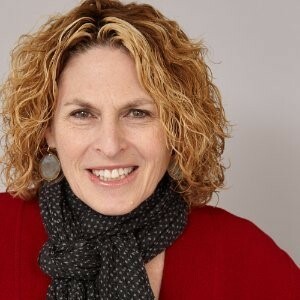 Speaker Sharon Rich is the author of Your Hidden Game: Ten Invisible Agreements that Can Make or Break Your Business, based on proprietary research conducted with organizations in health care, technology, manufacturing, media firms and others. She runs a Los Angeles management consulting firm called Think Business Growth, where she works with CEOs and leadership/management teams who are navigating change and/or need to create measurable improvement in business results — and need an improvement in team performance to make this happen. 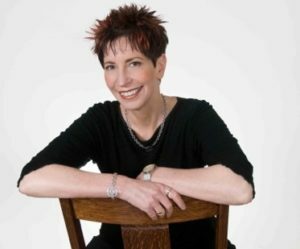 As a professional speaker, Sharon teaches business leaders how to leverage the hidden game being played in their organizations without their knowledge. After getting to know the hidden game intimately as a leader in the advertising business for twenty-five years, Sharon has dedicated the past decade plus to transforming business performance by making the invisible visible—facilitating business leaders in bringing their organizations’ hidden games out onto the table, where they can rewrite the rules, enter into new conscious agreements, and eliminate the automatic assumptions that get in the way of executing effectively. Sharon works with middle market businesses in industries that include health care, bioscience, technology, manufacturing, media, professional/creative services, and non-profit. As a result of their work together, her clients see measurable improvements in leadership, teamwork, execution, and business results. On a personal note, Sharon is a lifelong traveler. She has been to all fifty states (many more than once) and 26 countries, so far. This talk will help consultants and anyone who needs to be positioned as an expert in their industry to learn how to use PR to build credibility. Being featured on the TV news, being written about in newspapers and magazines, and obtaining guest article placements in industry publications all help position you as a thought leader. 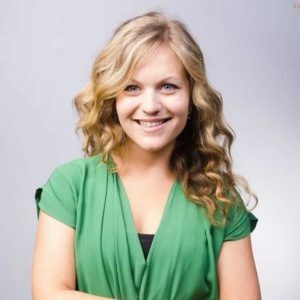 Speaker: Michelle Stansbury is the founder and CEO of Little Penguin PR, a strategic public relations company based in San Diego, CA. Michelle’s mission is to take the same resources that Fortune 500 companies use to build long-term brand value and reach their target audience through PR and provide them to small and mid-sized businesses to help them succeed. In 2016, Georgetown University and Arizona State University released research survey findings that clearly indicate the amount of disrespect and uncivil behavior in the American workplace has increased significantly over the last two decades. Additional research indicates that organizations which strive to develop and promote a respectful culture are significantly more likely to experience and sustain positive outcomes in performance, partnership and profitability. Talking points, tools and techniques that enable them to raise the issue with their clients in a manner which can spark organizational culture change. Speaker: Gregg Ward is the CEO of the consulting and training firm, the Gregg Ward Group and has over 25 years of professional experience as a Consultant, Speaker, Executive Coach and Facilitator helping clients in North America and Western Europe manage business challenges in the areas of Respect and Respectful Leadership, Emotional Intelligence, Executive Presence, and Organizational Culture. Gregg’s clients include ADP, AXA, Booz Allen Hamilton, Bristol-Myers Squibb, Colliers International, The EPA, Ford Motor Company, Harley-Davidson, IHOP, Intel, InterContinental Hotels Group, Kaiser Permanente, Kraft, NASA, Nissan, Qualcomm, PriceWaterhouseCoopers, Siemens, The University of California, The US Navy, and Warner Bros Studios among others. Some of Gregg’s recent media appearances include ABC News’ Good Morning Washington DC, Fox 5 San Diego, Forbes Magazine, San Diego Union-Tribune, Fortune Magazine, Fast Company, Entrepreneur, and Inc.
Karyn Buxman is an international speaker, successful author, and neurohumorist (living at the intersection of the brain and humor). Karyn is a pioneer in the field of applied humor, starting with her master’s thesis in graduate school and now continues her partnerships with leading neuroscientists. Today Karyn helps leaders—and those they serve—achieve peak performance and optimum health through the art and science of applied humor. Audiences love Karyn’s message of laughter and leadership. In one month she spoke for the Million Dollar Round Table, the US Air Force, the Mayo Clinic, Pfizer, and the Association for Peri-Operative Room Nurses. Do you rivet attention and inspire action when you speak? Whether looking into a camera, speaking to a group or connecting one-on-one, it’s undoubtedly challenging to connect and close in today’s disruptive environment. Session participants will experience an engaging keynote designed to demonstrate how to use clear and concise language to advance their ideas and persuade listeners to their point of view. Expedite decision making and lead listeners to desirable conclusions. If you’re tired of puzzled faces, blank stares or being “let down easy,” join Dez to uncover the secrets of using words to gain and sustain client relationships. 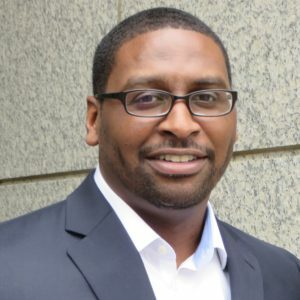 Speaker Dez Thornton: Professionally trained at the University of South Carolina and Dale Carnegie, he is a past president of the Georgia Chapter of the National Speakers Association and the winner of Speak Tank, a speaking competition hosted by the NSA. He has been a speech coach for TEDx Peachtree, coached hundreds of professionals and corporate clients, and even taught a public speaking class for 7 years at a federal prison. At the tender age of nine, Dez forgot his lines in a church play but he never forgot the embarrassment and humiliation that followed. Since then, he’s dedicated himself to learning and teaching the art of speaking and helping thought leaders say the right words in the right way when they matter most. From startup to exit, business is complex! There are few backyard businesses anymore… almost every business is global. The level and breath of expertise required to startup, scale up and build sustainable, profitable businesses is daunting…and it is not going to stop. There are few, if any businesses, non-profit or government leaders that know how to do it all! Smart and successful leaders have strong core teams and supplement their experience and expertise with professional experts who have deep subject matter and process expertise when they do not have solutions for the issues, challenges or problems they are facing. We call these experts… consultants! Business and organizational leaders struggle to find the experts they need. Too often they are looking for solutions to the symptoms they are experiencing… not the root cause. Hence they may or may not get their problem or issue resolved. Consultants don’t make it easy for business and organizational leaders to find them or to buy their solutions! They are not visible, not known for their expertise, not known for their solutions. Too many consultants speak the language of consulting, too much jargon, too much theory. Too frequently when leaders who need help meet consultants who could help, the conversations are shallow, superficial and inconsequential…and go nowhere! Leader and consultant walk away frustrated! Learn the five elements of Disruptive and Transformational consulting solutions that attract the attention of business, organizational and industry leaders. Assess which of their consulting solutions are truly Disruptive and Transformational and why they are worthy of this designation. Develop non-intrusive, provocative questions that demonstrate consultant’s deep subject matter expertise just by asking the question…that causes the prospect to stop, reflect and want to continue the dialog…which creates the opportunity for exploration of solutions. I teach a natural, stress-free process. Learn how to create simple compelling messaging that creates interest, intrigue and invitations to speak and present on the consultant’s Disruptive and Transformational solutions. 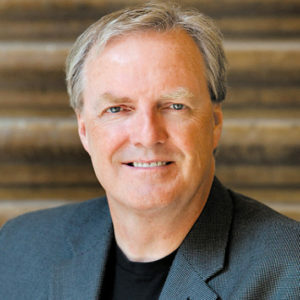 Speaker: Jim Horan is an experienced Fortune 500 executive, sought after thought leader, advisor to startups, CEO’s, non-profit leaders, management teams, private equity investors and association executives. Almost 25 years ago, Jim Horan did something incredibly brilliant or outrageously stupid…he simplified the business plan to a single page…and began a revolution which continues to this day. Jim’s first book, The One Page Business Plan for the Creative Entrepreneur instantly became an instant Amazon best seller and it remains a best seller. Inc. Magazine listed The One Page Business Plan for the Creative Entrepreneur book as one of the Top 10 “Start Your Own Business” Books of 2015. This book spawned a global “One Page” industry which now includes six best-selling books, and six cloud-based planning and performance management solutions that are used by over 250,000 companies around the world. Jim is the CEO of The One Page Business Plan Company. The company is located in Berkeley, California. It markets, sells and delivers its products, training and consulting services through its 600+ senior consultants and executive coaches. Jim has been an IMC USA member for over 20 years. He started giving presentations to local IMC chapters in 2000 and has given multiple presentations at IMC USA National Conferences. Ellen Grace Henson has been working in product management since the mid-’90s and consulting for 15 years. A thought leader with experience across multiple markets and technologies, Ellen Grace brings a unique combination of analysis and creativity to business and product strategy, market and customer insight, product-delivery process design, and aligning cross-functional teams to deliver high levels of customer satisfaction and strong business results. Most organization have a strategic plan. But 70 percent fail to achieve their strategic goals. Why? Organizational churn! What is churn? It is that wasted activity in organizations that absorbs time, wastes energy, and doesn’t produce expected results. In fact, John Kotter, the renowned organization transformation expert, has recently found that only 5 percent of strategies deliver the expected results, 70 percent fail to achieve the expected results, and the remaining 25 percent achieve middling results. Our research, in partnership with the Telfer School of Business, has developed a deeper understanding of the relationship between organizational effectiveness and the effectiveness of managers. It shows that managers in a cross section of various sized organizations report spending only 55 percent of their time on value-added work. Managing subordinates is a key part of that value-added work. Almost half of a manager’s time is consumed doing work that is not adding value in the way it should and could. We also found that while 98 percent of managers agree that they are held to account for their work, only 46 percent believed that they are delegated clear objectives with statements of quantity, quality and timeliness. This creates a vicious circle where managers – throughout the organization – are not clear about their priorities. This is because their own managers are not spending the time they must spend on managerial leadership activities to set context for work, to clarify priorities, and to resolve conflicts in cross functional work. The root causes of inability of organizations to execute strategy. A method for measuring manager effectiveness in organizations. How to help clients ensure that teams are aligned and focused throughout the organization on what they need to do to execute strategy. The Effective Point of Accountability® will be used as a model with references to other common accountability and authority frameworks. 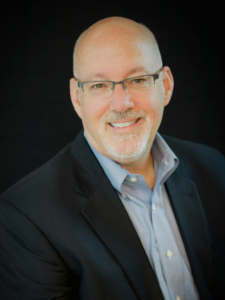 Speaker: Dwight Mihalicz helps organizations drive top performance. He focuses on manger effectiveness… ensuring that all managers, from the CEO to the front line, are focused on their key strategic priorities and have the accountability and authority required for success. Dwight has founded and is President of Effective Managers™, a management consulting firm based in Canada and providing services globally. The firm uses the Effective Managers™ survey to assess manager effectiveness, and The Effective Point of Accountability® to help organizations ensure the clear delegation of accountability. The implementation of this framework also breaks down silos so that work can flow smoothly across the organization. Dwight has worked with a variety of organizations and situations. He has helped clients solve a broad variety of complex problems in local, national, and global settings. Dwight is currently the Treasurer of CMC-Global, and the Past Chair of the CMC-Global Institute. He has worked extensively with fellow management consultants around the world to improve the profession. An author of many papers and publications, Dwight has published The Effective CEO: The Balancing Act that Drives Sustainable Performance, a book that explores the key functions that must be carried out by a successful CEO.